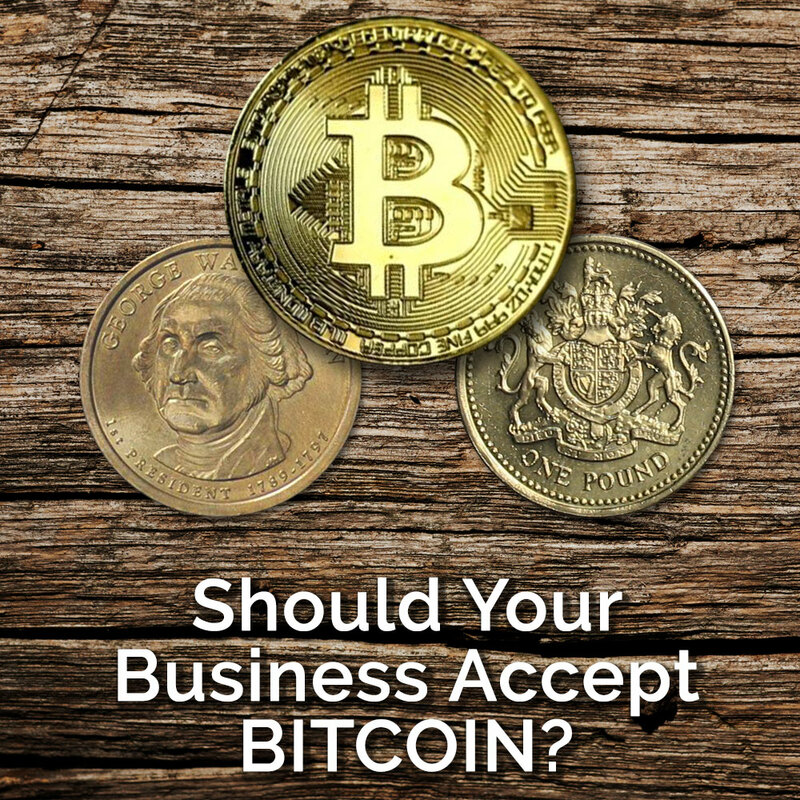 When considering Bitcoin as a method of payment for your customers, there are a few things worth considering. Things like security and ease of transaction are important, of course, and there are no doubts that Bitcoin is touted as one of the safest forms of payment on the planet. But there is also the rationale behind why you should, or should not accept Bitcoin. In our latest episode of Business Acumen we debate this, and you’ll hear 3 common themes. Investing in Bitcoin, customer convenience, and foreign currency/exchange rates. If you'd prefer to digest this topic in audio format, please listen to the podcast below. Also consider subscribing to our Soundcloud podcast for more topics each week. As of the writing of this article, 1 Bitcoin is equal to $7,540.52. However, on July 13th (merely two weeks ago) it was valued at $6,216.29. On December 17, 2017 it was worth $19,378. That’s a big difference over the course of less than a year. What does this mean to you? Well, it’s very important to know that accepting a Bitcoin you are investing in that currency and it’s subject to the change in value...every day. So let’s illustrate this in an example. Let’s say you sell widgets that cost $6,216 USD and you decide to accept Bitcoin from your customer. 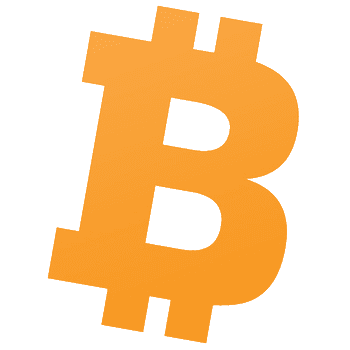 On July 13 you accept 1 Bitcoin in exchange for one widget. Today, you sell that Bitcoin for USD and you get $7,540 so you not only sold your widget, but you also made $1,324. Yeah, that’s great! Now let’s say you sold 3 widgets in exchange for 1 Bitcoin on December 17, 2017 and you received 1 Bitcoin valued at $19,378 and you sold it today; you just lost $11,838. That’s sad. At the end of the day, you need to be prepared to make or lose money on your transaction outside of normal fixed and variable expenses. The Bitcoin is not as stable as the USD. Overstock bets that the value of Bitcoins will keep increasing and according to a Forbes article, they are keeping 50% of their digital currency as an investment. But look at the huge swing over a 6 month period. Most small businesses need cash, not investments. It might be hard to pay payroll if all you have is Bitcoin currency. I’m not going to recommend one way or another, but so long as you understand the variability of the Bitcoin value then you can choose if you want to take the risk. At this point it is almost more about being willing to invest when receiving a payment than it is about simply accepting a Bitcoin. Most business will agree, if their customers want to pay a certain way, the business should accommodate that. We saw this with credit cards all those years ago. It cost companies money to accept a Visa, but it was worth it to get more customers. Today, a similar conundrum exists around Bitcoin except, remember, Bitcoin is a currency and not just a payment method. We will talk more about that in the next section. So, true convenience to your customers is important, if you’re willing to accept the risk. Also, there may not be as many fees to accept Bitcoin as of yet, but we can be certain that if people are exchanging money and the government is not regulating it or taxing it, they will be soon. Now, one area where there is a lot of opportunity with Bitcoin is in global payments. Because there is no conversion requirements and Bitcoins can be sent instantly, a business could collect payments from around the world in seconds where it used to take days to weeks to get the payment. This means faster commerce and more progress. However, Bitcoin is as foreign of a currency as the British Pound. Unless someone you owe money to is going to also accept Bitcoin you will have to convert that Bitcon to another currency accepted by the vendor. Or, as was mentioned above, your employees will not likely accept Bitcoin for their paycheck. At the end of the day, each business needs to determine if the risk is worth the reward. If you’re willing to watch the value of Bitcoin and cash out at the highest point and make money it could be a great investment for your business. However, if you need stability (or to pay your vendors that don’t accept Bitcoin with USD) then it may be worth skipping the risk and sticking with USD. 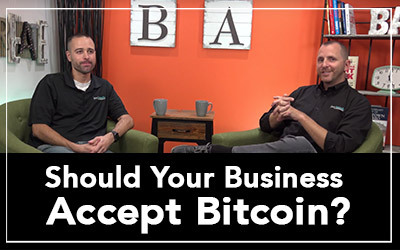 No one is going to tell you that you can’t accept Bitcoin, but hopefully this article (and our Business Acumen show) have given you something worth thinking about before making the jump into Bitcoins. If you are determined to accept Bitcoin and want some more tactical information and resources on getting started, check out the article on Forbes called 'Now Accepting Bitcoin': A Retailer's Guide To Digital Currencies. How do you feel about Bitcoins? Are you more inclined to take the investment or stay with the stability of USD? 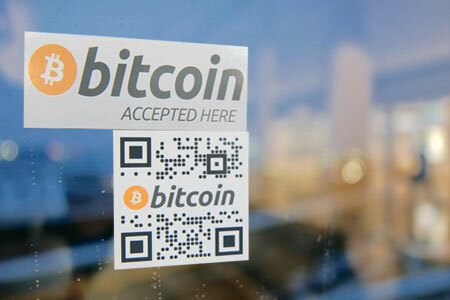 Do you think people are going to accept Bitcoins everywhere soon? Leave us a comment below and let us know what you think!